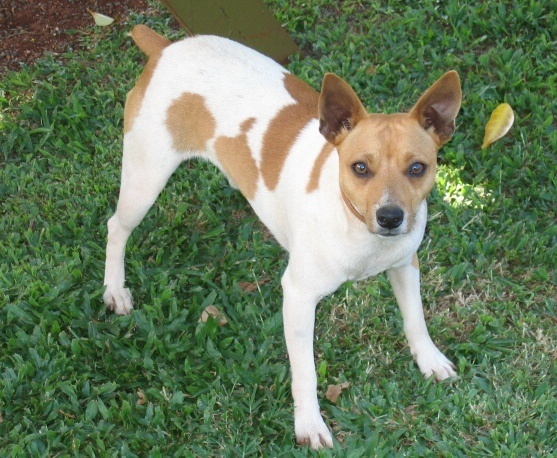 The Tenterfield Terrier is a small-sized dog initially bred for hunting rats and vermin. It comes with a compact, square body, wedge-shaped head, erect or pricked ears, and a natural bob tail. It is an active and hardy breed, good at retrieving, swimming, obedience, and agility. 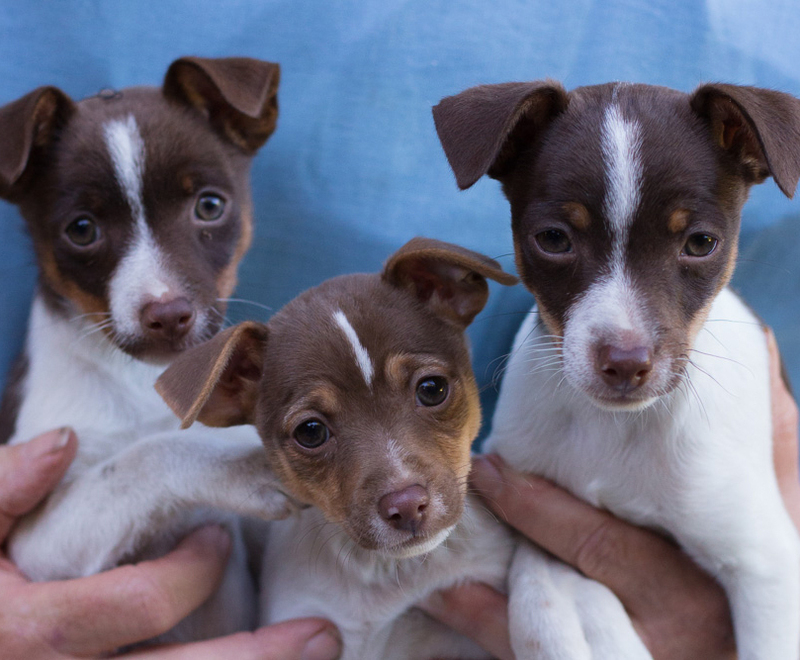 The ancestors of Tenterfield Terriers were brought to Australia by British settlers in ships where they were used for killing rats and mice. 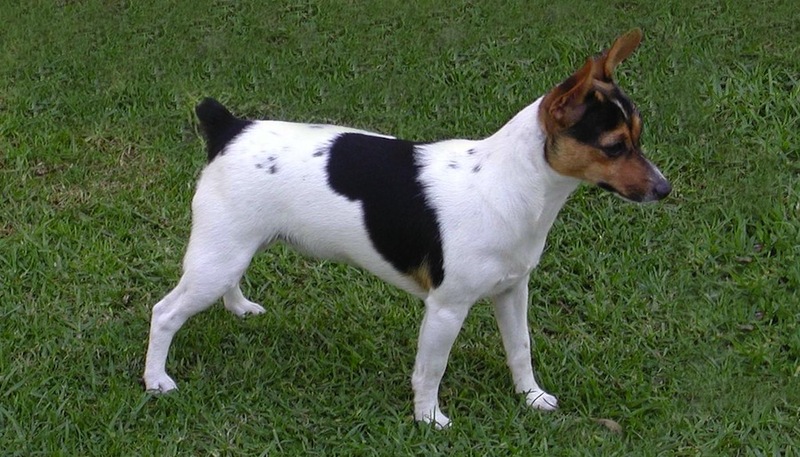 These included Miniature Fox Terriers, which were popular throughout Europe and Australia for hunting vermin. 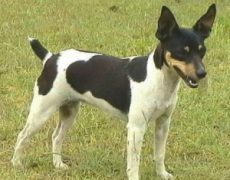 By the late nineteenth century, the Tenterfield Terrier became established not just as a working dog but also a family companion. 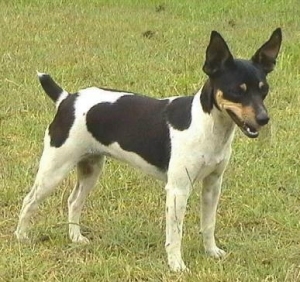 During the 1920s, these terriers were commonly kept as pets in urban households and bred extensively in the northern part of New South Wales. 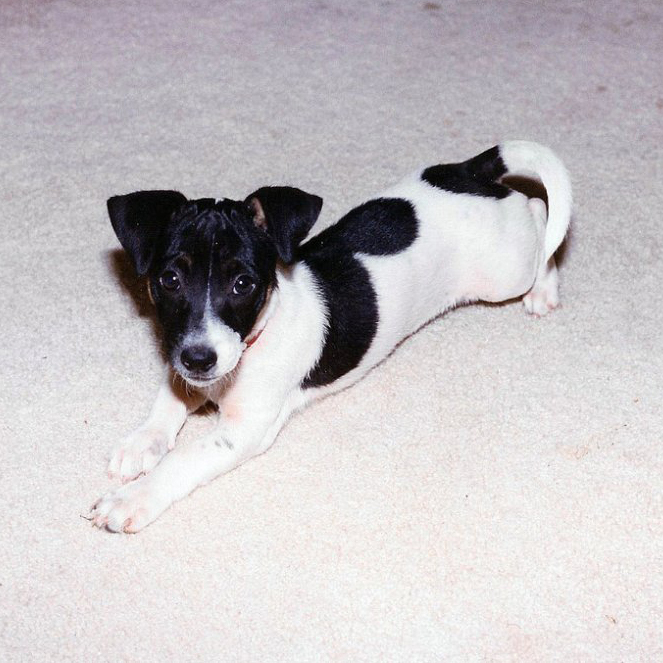 In the 1990s, the name Tenterfield Terrier was proposed by a television personality, Don Burke. 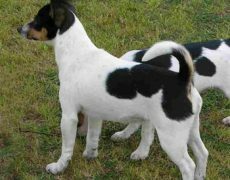 Three years later, the Tenterfield Terrier Club of Australia was set up, and the breed attained acknowledgment by the ANKC in 2002. 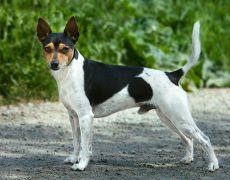 A versatile working terrier with excellent hunting skills, the Tenterfield Terrier makes for a loyal and loving family pet as well. It bonds tightly with its people, loving to take part in household activities. 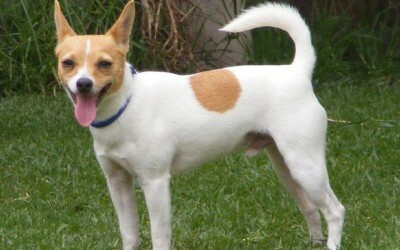 It gets along well with people of all ages and can be friendly with other pets when introduced at a young age. Since it is protective and watchful by nature, it will always alert its people to the approach of strangers. 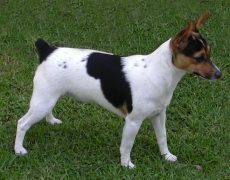 It has the instincts of a true terrier, reacting aggressively on feeling threatened. 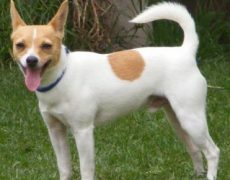 It may also chase small animals like squirrels, rabbits, and birds, and needs close supervision if left off-leash outside. It enjoys regular activities and should be taken out for long walks and jogs. 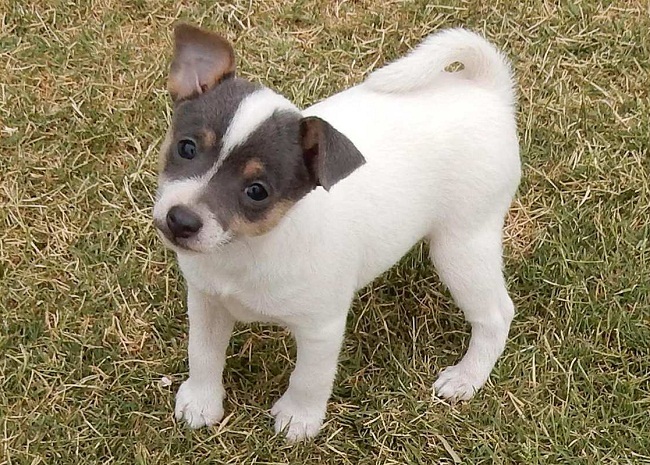 Allow it to run and play off-leash for at least an hour in a fenced yard, or take it to the dog park where it can interact with other dogs and make new friends. 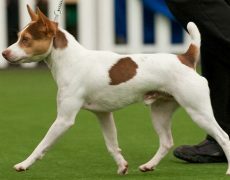 The Tenterfield Terrier needs a little upkeep including weekly brushing using a firm-bristle brush, occasional bathing, keeping its teeth clean, and trimming its nails with clippers every month. 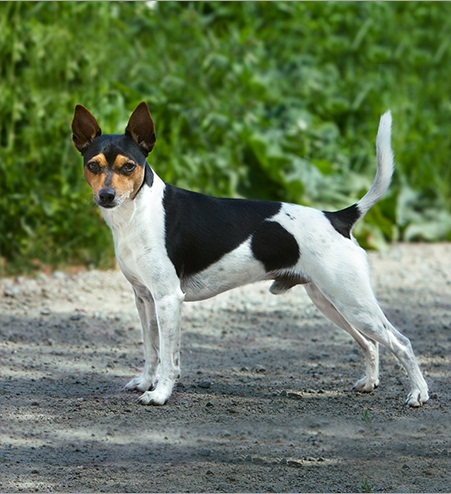 It is a sturdy breed, but some individuals are likely to get affected by certain health issues such as psoriasis, Legg-Calve-Perthes disease, hypothyroidism, patellar luxation, and Von Willebrand’s disease. 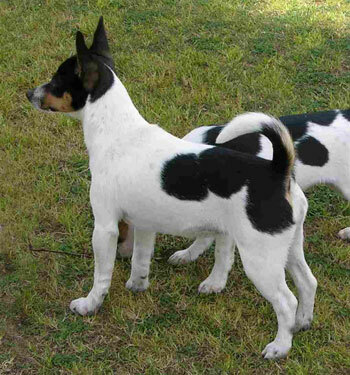 Like all terriers, the Tenterfield Terrier needs firm, consistent, and patient training methods. 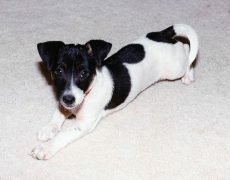 Since it can be aloof with strangers, it needs early socialization to realize that there is no danger from your guests. Walk your terrier puppy daily so that it can meet new people and other dogs. Also, invite your friends and neighbors to your place and allow them to feed your pup. 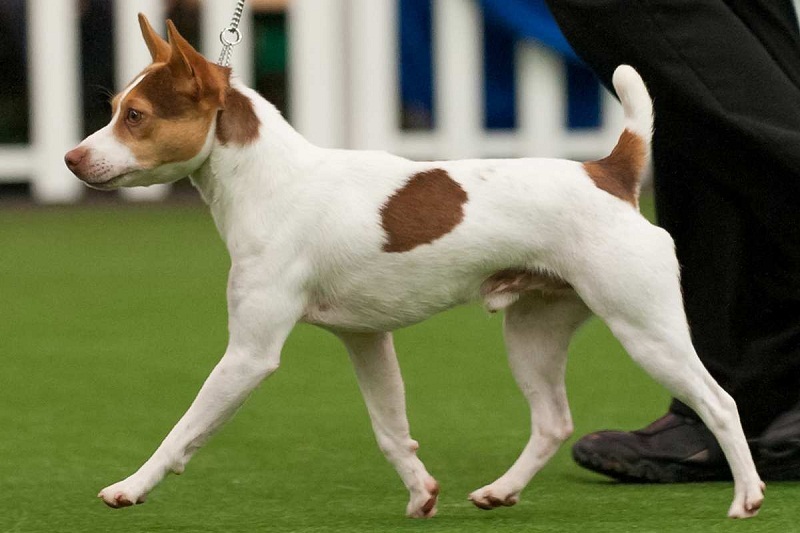 As the Tenterfield Terrier is a faithful and obedient dog by nature, you can teach your pet to respond to commands so that it can do well in performing dog tricks as well as in advanced dog competitions like agility and obedience. Start teaching your Tenterfield basic commands like sit, stay, come, heel, and down before moving on to high-level training. You may feed your Tenterfield Terrier quality dry dog food with sources of protein, fats, and carbohydrates as the primary constituents.